A safe pair of hands to manage, support and enhance your cloud platforms, products and custom software. Get access to the 'brain trust' across the combined Microsoft and Equinox IT team to solve any problems you face. Your time and that of your team should be spent on the strategic issues important to your organisation. We're a safe pair of hands to manage, support and enhance your cloud platforms, products and custom software. We'll attend to all of the business-as-usual technology activities and resolve production issues. We're a Microsoft Gold Partner for the DevOps, Application Development and Cloud Platform competencies and a Microsoft Silver Partner for the Datacenter and Cloud Productivity competencies. 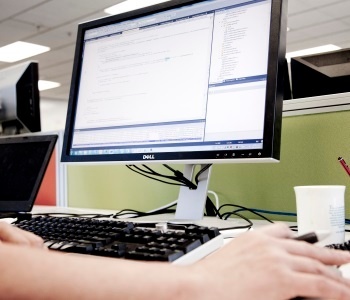 We're your experts in New Zealand for anything to do with Microsoft Azure, Azure DevOps, Office 365 and custom software maintenance and enhancement. Custom software in production that requires ongoing maintenance and enhancement. With broad and deep technical specialists we're also well placed to manage services across many other technology sets and platforms. Client knowledge base – we'll retain knowledge and records of all procedures and work performed to provide a consistent and highly tuned service to your needs. Talk to David Reiss about managing, supporting and enhancing your technology platforms. What we did: Equinox IT developed a core business software application for a central government agency and today continues to support, maintain and enhance that software as a managed service. As part of the work Equinox IT hosts the application, provides product leadership, operational user support and training, technical support, and ongoing maintenance and enhancements. Deliverables: Fully managed, supported and maintained core business software application, including user support and training. What we did: Equinox IT developed a core business software application for a central government agency and today continues to support, maintain and enhance that software as a managed service. The activities include supporting the production software, incident management using ITIL processes, writing and testing SQL data fixes, implementing and testing new features, delivering new releases, testing and fixing defects, writing automated tests and conducting code reviews. Deliverables: Fully managed, supported and maintained core business software application.